There’s a lot of talk in Utah and Washington right now about Mitt Romney vying to succeed Senator Orrin Hatch in 2018, assuming that Hatch, who turns 84 next year, decides to retire. It makes sense. Yes, Romney was born in Michigan and the only public office he’s held was governor of Massachusetts, a job he left just over a decade ago. But he’s been a folk hero in Utah ever since he took over and successfully ran the initially troubled 2002 Winter Olympics in Salt Lake City. And as the first LDS presidential nominee, he unsurprisingly carried Utah with 73 percent of the vote. In any event, if he wins (and it’s hard to find anyone in Utah who doesn’t think he’d win in a cakewalk if Hatch gets out of the way), Romney would have another distinction: He’d be the oldest freshman senator popularly elected to a full term. That’s right. According to a Vox piece published when 74-year-old Ted Strickland announced he was running for the Senate in Ohio in 2015, only one septuagenarian has been elected to a first full term in the era of popular elections for the upper chamber: Calfornia’s S.I. Hayakawa, who was 70 when he upset John Tunney in 1976. Romney would be 72 in 2018. 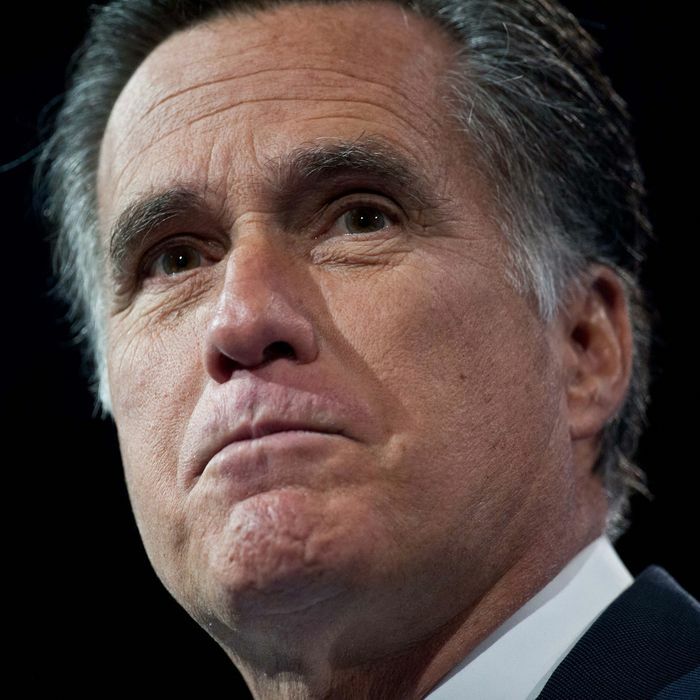 Now that is not to say that Romney — a relatively youthful-looking and quite vigorous man — would stand out in the Senate. The median age of senators at the beginning of this Congress was 61.8. Twenty-three senators are 70 or older. They usually, however, get started in the Senate a bit earlier. But he has the good excuse of being sidetracked by two unsuccessful presidential candidacies.